Dr. Sigrid Mirabaud will present on May 02, 2018 results of the two last interdisciplinary field missions conducted in 2016 and 2018 at Qorqor Maryam (Tigray) within the framework of a research project on the processes of creation of Ethiopian painting (materials, techniques, iconography and history). 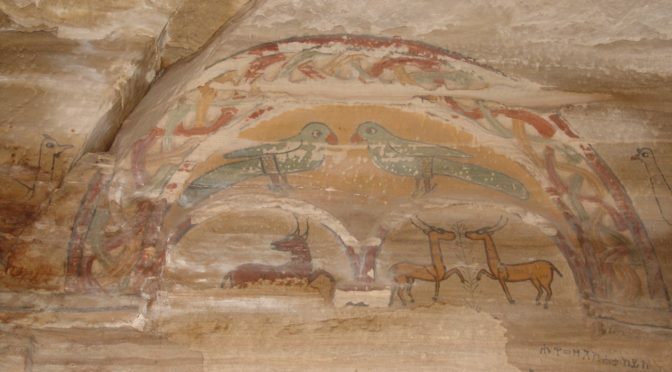 The past two missions focused on murals from the rock-hewn church of Qorqor Maryam, which could date back to the 13th century AD and thus be among the most ancient murals of Ethiopian Christian rupestrian paintings. The church of Qorqor Maryam was carved out of an Adigrat sandstone formation, at the top of a cliff. The Ethiopian saint Daniel lived in this monastery during the second half of the 13th century and ordered the paintings for the church, one of the largest in the region and almost completely decorated by mural paintings associated to carved figures. Unlike the other churches of the area, and probably of Ethiopia, the murals are painted directly on the sandstone, without any ground layer, that is quite exceptional for historical periods and make them comparable to rock art. The historical interest of the paintings, their unusual technique and their poor state of preservation led us to start a interdisciplinary research program, which includes an art historian, a conservation scientist, a painting conservator, a geologist and architects. Dr. Sigrid Mirabaud will present the first results obtained during 2016 and 2018 field missions on painting techniques, 3D modelization of the interior of the church, geological study of the sandstone and investigations of the state of preservation and rate of degradation of the site. Dr. Sigrid Mirabaud, trained in analytical chemistry applied to archaeology and conservation sciences, has been working since 2009 on the analysis of the materials used for Ethiopian paintings in the lab and on the stratigraphy of the paintings. In 2010 she co-organized an exhibition at the Institute for Ethiopian Studies ‘Spirit and Materials of Ethiopian Icons’. 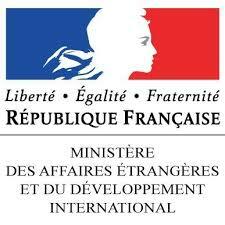 She is now head of the laboratory at the French National Institute for Cultural Heritage (Institut national du patrimoine, INP, Paris) and deputy head of studies in charge of research. She has co-led field missions in 2016 and 2018 at Qorqor Maryam with Dr. Claire Bosc-Tiessé.